> Mazda making a comeback with a RX-8 successor? Mazda making a comeback with a RX-8 successor? 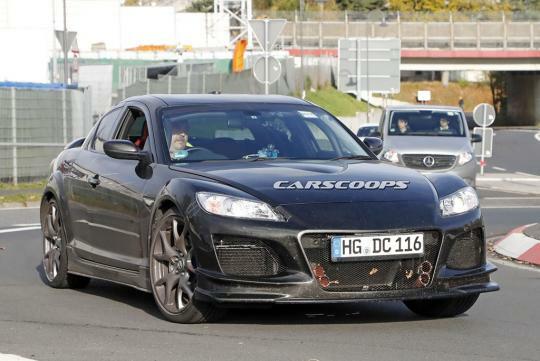 According to Carscoops, a Mazda RX-8 was spotted around the Nurburgring and sources online says it is powered by a new rotary engine. Despite the suspicion that the mule is using the upcoming two-rotor turbo engine in the RX-8, it is still questionable Mazda will allow the wankel engine to be the main power source. This is because the company’s executives have said in the past that the specific technology will return only in the form of a range-extender generator for a electric powertrain. That said, the RX-8 mule has been spotted being benchmarked with a Porsche Cayman and the new engine will be a 1.6-litre two-rotor unit with around 400bhp. How is the twin rotor engine going to pass the latest emission test standard when it burns engine oil? Unless Mazda radically redesign the rotary engine.